No one likes to contemplate what might happen if your cognition, or that of a loved one, begins to deteriorate and dementia is on the horizon. But some of us are planners, and for those who like to map out the road ahead, there are tools and strategies available for the journey. First, a new diagnostic device is now available for clinicians who want to try to evaluate whether a patient is on the path to Alzheimer’s or some other dementia. Called the QuoCo Cognitive Chart, this new tool is similar to the growth chart used in pediatric practices. By regularly using this chart, clinicians should be able to determine if cognitive decline has begun, and thereby begin interventions before it is too late. Read more about this new tool Here. 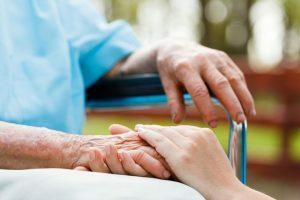 If a diagnosis of dementia or Alzheimer’s is then made, Dr. Leslie Kernisan, on her website Better Health While Aging, has set out a framework of what to and how to meet the needs of your debilitated loved one. Take a look at her five-step approach Here.